A huge part of the mission of Labelscar is to catalog artistry in everyday things. In particular, we feel that most contemporary commercial architecture, especially suburban retail development of the late 20th century, is undervalued and underappreciated, and likely won't attract the attention it deserves until too late. 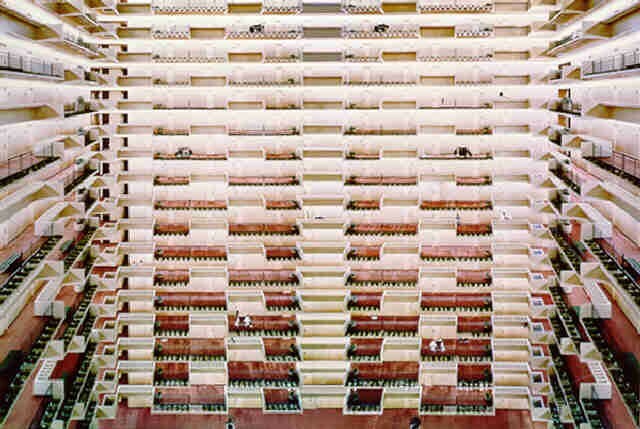 This whole championing-an-obscure-cause thing means that I know how to spot a kindred spirit when I see one, and photographer Andreas Gursky is one of my favorites. By and large, his photography isn't exactly retail-oriented, though his famous piece "99 Cent"–pictured above–certainly is. 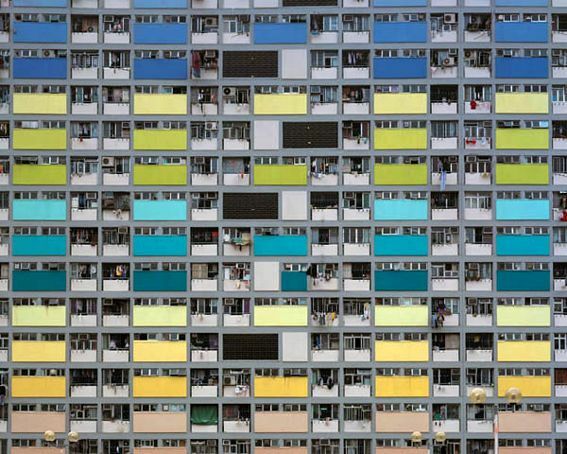 Most of what Gursky does tries to capture the beauty in modern (or post-modern) repetition, and in a scene like the one above captures it pretty marvelously. 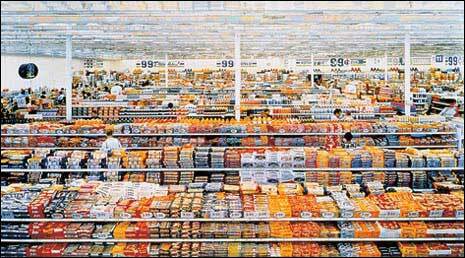 I love Gursky’s photography though my favorite set of his are the stock exchanges.